With the immanent release of vSphere 6, I've been doing prep work for upgrades and new installs. There's a lot of information out there (just check out the vSphere 6 Link-O-Rama at Eric Siebert's vSphere Land for an idea of the breadth & depth of what's already written), but not as much as I'd like to make good decisions in order to future-proof the setup. 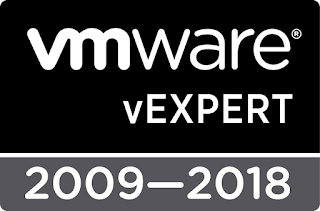 I'm sure I join lots of VMware admins in looking forward to the new features in vSphere 6—long-distance vMotion, cross-datacenter & cross-vCenter vMotion, multi-vCPU fault tolerance (FT), etc.—but along with these features come some foundational changes in the way vSphere management & security are architected. Hopefully, you've already heard about the new PSC (Platform Services Controller), the functional descendant of the SSO service introduced in vSphere 5.1. 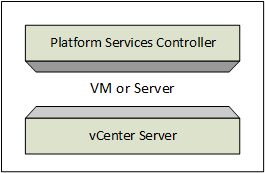 SSO still exists as a component of the PSC, and the PSC can be co-installed ("embedded") on the same system as vCenter, or it can be independent. Like SSO on vSphere 5.5, the PSC has its own internal, dedicated database which it replicates with peer nodes, similar to what we've come to know and expect from Microsoft Active Directory. 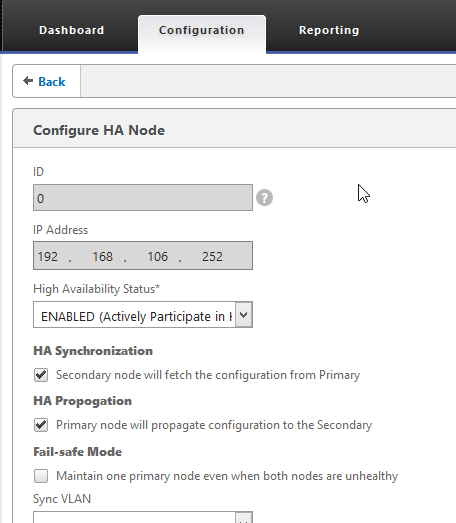 This replication feature not only helps for geographically-distributed enterprises—allowing a single security authority for multiple datacenters—but high availability in a single datacenter through the use of 2 (or more) PSCs behind a load balancer. 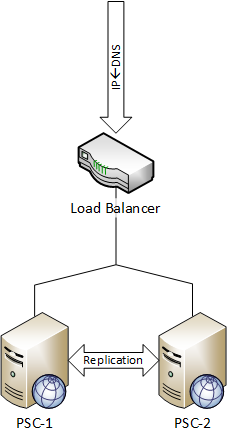 Note the emphasis on the load balancer: you will end up with the abstraction of the PSC with a DNS name pointing at an IP address on your load balancing solution, rather than the name/IP of a PSC itself. This delegation means you must plan ahead of time for using load balancing; it's really not the sort of thing that you can "shim" into the environment after implementing a single PSC. Joining SSO in the PSC "black box" are several old and some brand new services: identity management, licensing...and a new Certificate Authority, aka VMCA (not to be confused with vCMA, the vCenter Mobile Access fling) . Root (the default). Source of all certs for dependent services, this CA's public key/cert must be distributed and placed in your trusted CA store. Intermediate. Source of all certs for dependent services, but the CA itself gets its trust from a parent CA, which in turn must have its public key/cert distributed. In the case of corporate/Enterprise CA/PKI infrastructure, this will already be in place and will be my go-to configuration. None/External-only. All services receive their certs from a different CA all together. This model is equivalent to removing all the self-signed certificates in pre-6 and replacing them with signed certificates. With the proliferation of services, each using its own certificate, this model is becoming untenable. Hybrid. 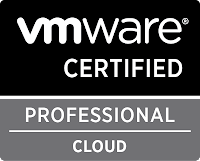 In the hybrid model, the VMCA provides certificates to services that provide internal communication (either service-to-service or client-to-service) while public CA-signed certs are used in the specific places where 3rd-party clients will interact. In this model, the VMCA may act as either root or intermediate CA. Migrating from one model to another will have risks & difficulties associated with it. The default installer will set you up with a root CA; you will have the option to make it an intermediate at time of install. As near as I can tell from the available documentation, you will need to reinstall the PSC if you start with it as a root CA and decide you want it instead to be an intermediate (or vice-versa). This is consistent with other CA types (eg, Microsoft Windows), so there's no surprise there; however, it's not clear what other replicated services will be impacted when trying to swap CA modes, as it will require previously-issued certificates to be revoked and new certificates to be issued. You can switch some or all of the certificates it manages with 3rd-party (or Enterprise) signed certs, but once you do, you will have to deal with re-issue & expiration on your own. I can't find anything documenting whether this is handled gracefully & automatically with VMCA-signed certs & services, similar to the centralized/automated certificate management that Windows enjoys in an Enterprise CA environment. There isn't any documentation on switching from 3rd-party (or Enterprise) back to a VMCA-signed certificate. Presumably, it'll be some CLI-based witchcraft...if it's allowed at all. Finally, keep in mind that DNS names factor heavily into certificate trust. Successfully changing name and/or IP address of an SSO server—depending on which was used for service registration—can be challenging enough. Doing the same with a system that is also a certificate authority will be doubly so. So: what's the architect going to do? 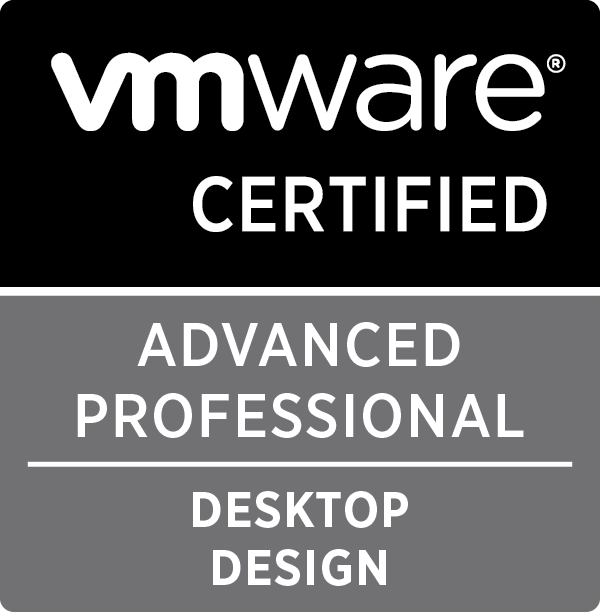 For small, non-complex environments, I'm going to recommend what VMware and other bloggers recommend: stick with the single, combined PSC and vCenter server. Use the VCSA (vCenter Server Appliance) to save on the Windows license if you must, but I personally still prefer the Windows version: I'm still far more comfortable with managing the Windows OS environment & database than I am with Linux. Additionally, you're going to want Update Manager—still a Windows service—so I find it easier to just keep them all together. This also suggests using the VMCA as a root CA, and I'll stick with that recommendation unless you have an Enterprise CA already. If you have the Enterprise CA, why not make it an intermediate? At a minimum, you'll would eliminate the need for yet another root certificate to distribute. More importantly, however, is that it's vastly easier to replace an intermediate CA—even through the pain of re-issuing certificates—than a root CA. What constitutes small, non-complex? For starters, any environment that exists with one—and only one—vCenter server. You can look up the maximums yourself, but we're talking about a single datacenter with one or two clusters of hosts, so less than 65 hosts for vSphere 5.5; in practice, we're really talking about environments with 20 or fewer hosts, but I have seen larger ones that would still meet this category because—other than basic guest management (eg, HA & DRS)—they aren't really using vCenter for anything. If it were to die a horrible death and be redeployed, the business might not even notice! 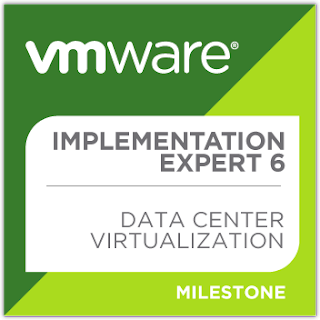 Even if you have a small environment by those standards, however, "complex" enters the equation as soon as you implement a feature that is significantly dependent on vCenter services: Distributed Virtual Switch, Horizon View non-persistent desktops, vRealize Automation, etc. At this point, you now need vCenter to be alive & well pretty much all the time. Once you've got your database with high availability, split out the PSC from vCenter and set up at least two of them, the same way you'd set up at least two Active Directory domain controllers. This is going to be the hub of your environment, as both vCenter and other services will rely on it. Using a pair will also require a load balancing solution; although there aren't any throughput data available, I'd guess that the traffic generated for the PSC will be lower than the 10Mbps limit of the free and excellent Citrix NetScaler VPX Express. I've written about it before, and will be using it in my own environment. Add additional single and/or paired PSCs in geographically distant locations, but don't go crazy: I've seen blogs indicating that the replication domain for the PSC database is limited to 8 nodes. If you're a global enterprise with many geographically-diverse datacenters, consider a pair in your primary, most critical datacenter and single nodes in up to 6 additional datacenters. Have more than 7 datacenters? 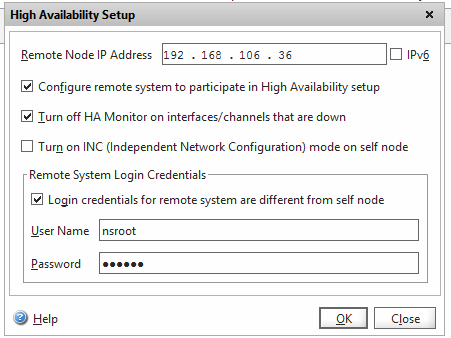 Consider the resiliency of your intranet connectivity and place the nodes where they will provide needed coverage based on latency and reliability. If you're stumped, give your local Active Directory maven a call; he/she has probably dealt with this exact problem already—albeit on a different platform—and may have insight or quantitative data that may help you make your decision. Finally, I'm waiting with anticipation on an official announcement for FT support of vCenter Server , which will eliminate the need for more-complex clustering solutions in environments that can support it (from both a storage & network standpoint: FT in vSphere 6 is completely different from FT in previous versions!). Until then, the vCenter Server gets uptime & redundancy more through keeping its database reliable than anything else: HA for host failure; good, tested backups for VM corruption. HP has owned the Left Hand storage system since late 2008, and has made steady improvements since then. The product had already been officially supported on a VM; not only did the acquisition not destroy that option, but HP has embraced the product as a cornerstone of their "software-defined storage" marketing message. Although other products existed back in 2008, a virtualized Left Hand node was one of the first virtual storage appliances (VSA) available with support for production workloads. Fast-forward to August, 2012: HP elects to rebrand the Left Hand product as StoreVirtual, renaming the SAN/iQ to LeftHand OS in order to preserve its heritage. The 10.0 version update was tied to the rebranding, and the VSA arm of the portfolio—HP never stopped producing "bare-metal" arrays based on their 2U DL380 server chassis—promised to bring additional enhancements like increased capacity (10TB instead of 2TB) and better performance (2 vCPUs instead of 1) along with price drops. The 11.0 version was released with even more features (11.5 is the production/shipping version for both bare-metal and VSA), chief of which—in my opinion—is Adaptive Optimization (AO), the ability for node-attached storage to be characterized in one of two tiers. Note that this isn't a Flash/SSD-specific feature! Yes, it works with solid state as one of the tiers—and is the preferred architecture—but any two performance-vs-capacity tiers can be configured for a node: a pair of 15K RPM SAS drives as Tier 0 performance with 4-8 NL SAS drives as Tier 1 capacity is just as legitimate. 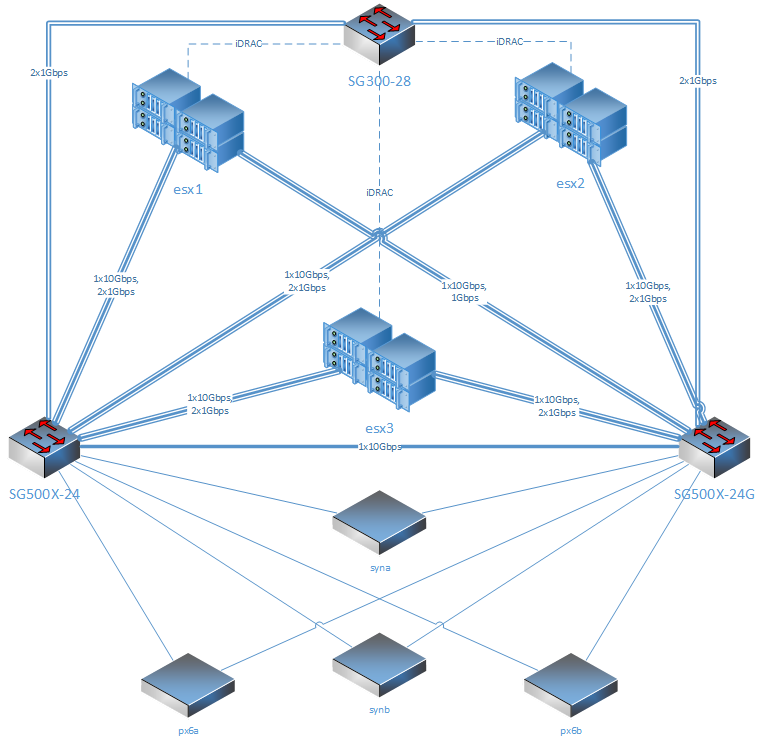 HP cautions the architect, however, not to mix nodes with varying AO characteristics in the same way it cautions against mixing single-tier nodes in one cluster. Personally, I've played with the StoreVirtual VSA off and on over the years. The original hold-back for getting deeply into it was the trial duration: 30 to 60 days is insufficient to "live with" a product and really get to know it. 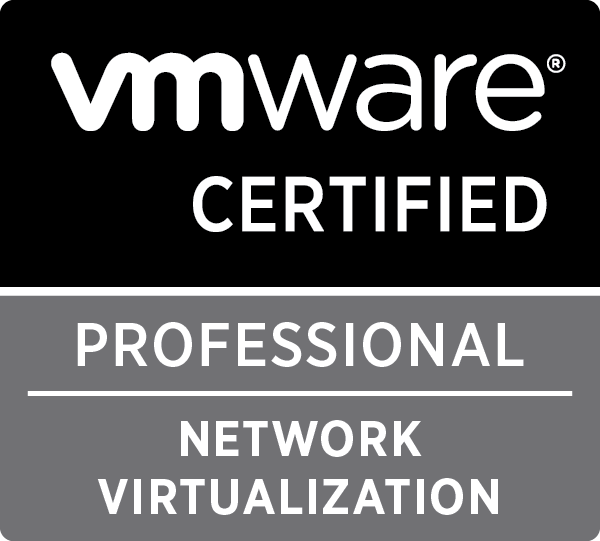 In early 2013, however, HP offered NFR licensing to qualified members of the VMware vExpert community, and those licenses had year-long duration associated with them. Unfortunately, however, the hosts I was running at home were pretty unsuited to supporting the VSA: limited RAM and 2-4 grossly inferior desktop-class SATA hard drives in each of 2 hosts. I'd still load up the VSA for test purposes; not for performance, but to understand the LeftHand OS better and how failures are handled, configurations are managed, and how the product interacts with other software like Veeam Backup & Recovery. But then I'd also tear down the cluster when I finished with it in order to regain consumed resources. When PernixData FVP was still in pre-GA beta, I was able to make some system upgrades to add SSD to newer hosts—still with essentially zero local capacity, however—and was able to prove to myself that a) solid state works very effectively at increasing the performance of storage and b) there is a place for storage in the local host. With the release of the first VMware Virtual SAN beta, I decided it was time to make some additional investments into my lab, and I was able to not only add a third host (the minimum for supported VSAN deployment) but also provision them all with a second SSD and enterprise SATA disks for the experiment. In that configuration, I was able to use one SSD for iSCSI-based performance acceleration (using the now-GA FVP product) and a second SSD for VSAN's solid state tier. My hosts remained limited in the number of "spinning disk" drives that could be installed (four), but in aggregate across three hosts, the total seemed not only reasonable, but seemed to work in practice. Unfortunately, I was plagued by hardware issues in this configuration: rarely a week went by without either FVP or VSAN complaining about a drive going offline or being in "permanent failure," and it seemed like the weeks when that didn't occur, the Profile Driven Storage service of vCenter—which is critical to making use of VSAN in other products like vCloud Director or Horizon View—would need to be restarted. Getting FVP or VSAN working correctly would usually require rebooting the host reporting an issue; in some cases, VMs would need to be evacuated from VSAN to provide the necessary free space to retain "availability." In short, the lab environment with my 1Gbps networking and consumer-grade disk & HBA made VSAN and FVP a little too much work. But I still had that VSA license... If I could get a better HBA—one that would perform true hardware-based RAID and have deeper queue, not to mention other enterprise SATA/SAS capabilities—I'd be able to leverage the existing disk investment with the VSA and have a better experience. I was able to source a set of Dell PERC H700 adapters, cables and cache batteries from eBay; these were pulled from R610 systems, so dropping them into mine was trivial and the set cost considerably less than a single kit from Dell. Although I could have rebuilt the VSAN and FVP environments on the new HBA—each disk in the system would need to be set up as a single-spindle RAID0 'virtual volume'—I went with a RAID1 set for the pair of SSD and a RAID5 for the spindles. I would be able to continue leveraging PernixData for acceleration using the RAM-backed function, but I was done messing with VSAN for now. Setting up the v11.5 VSA initially gave me pause: I was booting from SD card, so I could use 100% of the SSD/HDD for it, but how to do it? If the LeftHand OS had drivers for the PERC array—possible: the core silicon of the H700 is a LSI/Symbios product which might be supported in spite of being a Dell OEM—I could do a DirectPath I/O if there was another datastore available on which to run the VSA. A second, similar alternative would be to manually create Physical RDM mappings for the RAID volumes, but that still left the problem of a datastore for the VSA. Yes, I could run the VSA on another array, but if the host ever had issues with that array, then I'd also end up with issues on my LeftHand cluster—not a good idea! My final solution is a hybrid: The HDD-based RAID group is formatted as a VMFS5 datastore, and the VSA is the only VM using it. 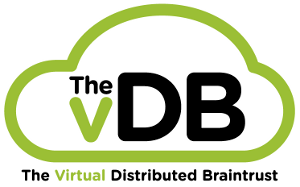 A large, 1.25TB 'traditional' VMDK is presented using the same datastore (leaving ~100GB free for the VSA boot drive and files); the SSD-based RAID group is presented as Physical RDM. This configuration permitted me to enable AO on each node, and get an SSD performance boost along with some deep storage from the collection of drives across all three nodes. In practice, this array has been more trouble-free than my VSAN implementation on (essentially) identical hardware. A key difference, however, has been the performance with respect to inter-node communication: With VSAN, up to four interfaces can be simultaneously configured for inter-node communication, increasing bandwidth and lowering latency. Even with the lower performance characteristics of the disks and HBA in each host, saturating two of the four gigabit interconnects I had configured was possible with VSAN (when performing sequential reads & writes, eg, backups & storage vMotion), so the single gigabit connection available to VSA was very noticeable. I have since migrated my network environment to use 10Gbps Ethernet for my back-haul network connectivity (iSCSI, NAS, vMotion) and have objective evidence of improved performance of the LeftHand array. I'll be updating this post with subjective test results when the opportunity presents itself. Finding the exact solution to a problem in a blog, but discovering that it's an older post using out-dated products and documenting an API or UI that no longer exists? This question comes from some feedback I received on a series of posts I put together that documents my use of the Citrix NetScaler VPX Express virtual appliance as a reverse proxy. Citrix is doing the right thing: they're rebuilding the GUI in the NetScaler to eliminate Java (as much as possible). It has been a slow-going process, starting with the 10.0 version (as of this writing, 10.5 is current, and there are still one or two places that use a Java module), and one of the drawbacks is that the new HTML-only UI elements can't duplicate the Java UI—so things are...different. In the screencaps above, you see the older Java-based dialog box and the newer HTML page. They have some of the same data, but they are neither identical, nor are they found in the same exact place from the principal UI. How does a blogger serve his/her audience? Does one ignore the past and soldier on, or does one revisit the old posts and update them for a new generation of software? If I had positioned myself as a NetScaler expert, that answer is obvious: UI changes in and of themselves would be post-worthy, and revisiting old functions to make them clear under the new UI would make perfect sense. In this case, however, I have only had a couple of requests for revised instructions using the equivalent UI; I'm not a NetScaler guru, and to be perfectly frank, I haven't the time needed to redo the series. If I get a lot more feedback that this series needs to be updated, I'll think about a second edition using the new UI, but as of now it's going to stay the way it is. New year, new post documenting the home lab. I've accomplished a number of upgrades/updates since my last full roundup of the lab, so rather than posting this as another delta, I'm doing this as a full re-documentation of the environment. Hyperthreading enabled for 16 logical CPUs per host. iomega StorCenter ix2-200 "Cloud Edition"
I'm forever "messing" with my home lab. My latest set of updates will be based on a plan to get myself upgraded from all-gigabit to using 10Gbps for inter-host communication. If I only had two hosts, it'd be fairly straightforward—especially if my hosts had on-board 10Gbase-T: build some Cat6 crossover cables and link the machines directly together. But I have three hosts (from my early experimentation with VSAN) and none of them have 10Gbps ports. Why the move to 10Gb Ethernet? My experimentation with VMware VSAN and PernixData FVP have led me to the conclusion that, while they certainly function in a 1Gbps environment, they are seriously limited by it (FVP especially so, as it cannot perform any multi-NIC bindings in its current incarnation). With the growing prevalence of SSD in the datacenter—and the dropping price-per-gigabyte making it approachable for the homelab builder—the bandwidth and latency limitations in gigabit networks make 10Gbps networks almost a necessity as soon as you drop in that first SSD. Anything less, and you don't get full value for that dollar. The same applies to your older 2/4Gbps Fibre Channel storage networks, but FC is pretty much unattainable by most homelab builders. That said: If you're spending top-dollar on an SSD FC array in your enterprise, don't hobble it with a slow network. For that matter, 8Gbps might even be too slow... Plus, with Ethernet upgrades, you get more bang for the buck: in addition to providing a boost to your storage network performance—especially NFS if your filer has 10Gbps—you can run vMotion and FT over it; an upgraded FC network only gives you a boost in block storage performance. So my requirement is straightforward: I am working towards a 10Gbps solution for three hosts, and I'm satisfied if it only provides host-to-host intercommunication. That means that guest networking (and management) can still go over existing 1Gbps (simply because the demand is being fulfilled by 1Gbps, making 10Gbps overkill). That meant, at a minimum, three single-port PCIe host adapters, a 10Gbps switch, and the appropriate interconnect cabling. But I wasn't going to be satisfied with "the minimum," even for my lab: I really, really want to have redundant 10Gbps connections for each host. You see, I don't rebuild everything every 60-90 days like some folks. This environment is fairly stable, supports a number of higher-level lab & training projects (like VDI and vCloud Director), and pretty much runs like production. It just does it in my basement instead of in a datacenter. With some specific VMware-related exceptions, I do most of my truly experimental work inside an Organizational Virtual Datacenter (OvDC) provisioned by vCloud Director; in that "bubble," I can even spin up virtual ESXi systems. So my requirements are a little more involved: dual 10Gbps in the hosts with multiple 1Gbps as fallback; this means a single 10Gbps switch would be acceptable, but not single ports in the hosts. That seemed like a pretty expensive option, so I hunted around and really didn't find many other deals. Variations exist when you check with eBay, but you're still in the $2000 price range. Lesson 1: if you don't already have existing 10Gbps ports in your hosts, you're looking at $350/port as a reasonable estimate for the low end for the price of entry. I also chose to approach it from the other direction: get a line on the least-expensive compatible adapters, and build out from there. After finding some Broadcom-based dual-port SFP+ adapters for $70 apiece, I started to research SFP+ transceivers. Although they exist as 1Gbps SFP modules, you cannot get RJ45/Copper modules for SFP+/10Gbps; the specification for SFP+ simply doesn't provide sufficient power for UTP/STP cabling. That meant I'd have to get SFP+ transceivers (for both adapter and switch) as well as fiber cabling—or twinax direct-connect cables—to make this work. Plus a switch with SFP+ ports. As it turns out, the former problem (transceivers & cables) is readily solved: a China-based manufacturer/reseller (FiberStore) has compatible products at what I'd call "Monoprice Prices" for both their transceivers ($18/ea) and their twinax direct-connect cables ($22 for a 2M). As much as I'd prefer the direct-connect option for this project, I was a little worried about Cisco/Broadcom compatibility; yes, FiberStore has satisfaction guarantees, but shipping back-and-forth to mainland China from the US would be a big pain if they didn't work the first time. Or the second. Or the third. I also didn't know until after purchasing them that the BCM57712A cards were OEM'd for Cisco. Unless you're working with single-source for both the switch and endpoint—no matter what they say about standards—you can still have a direct-connect cable that won't work while transceivers would have worked fine. So I went the "spendy" route of selecting guaranteed-compatible 850nm multimode LC transceivers & fiber optic patch cables. The big stickler, then, is finding a switch. Unfortunately, high-count SFP+ ports aren't typically found in consumer-grade gear, making the search more challenging: under typical sales models, SFP+ transceivers will set you back ~$100 apiece, which makes it a daunting financial proposition for a lab setup, even if the switch itself was cheap. After researching several lines of products, I was about to give up on the idea when I came across references to Cisco's "SG" line of small business switches. I've had the SG300-28 in my lab for a long time, so I know it well and like the product line. The SG500XG-8T8F with eight SFP+ and eight copper 100M/1G/10Gbps ports looked like a winner, but the prices (~$2500 street) were ridiculous compared to the copper-only Netgear. I found some alternative candidates from a variety of manufacturers on eBay, but some models were 10Gbps only (so I'd still need something to downlink them to 1Gbps if I wanted to access the 1Gbps-based storage in my environment) and others had "Buy Now" pricing in excess of $2500. Still too spendy. But then I came across Cisco's $900 SG500X-24. After doing a bunch of reading—reviews, product guides, user manuals—I decided that this could be what I was after. In addition to having 24 copper 10M/100M/1Gbps ports, it also boasted 4x 10Gbps ports for uplinking (one pair of which would work as 5Gbps downlink ports when stacking—true, multi-chassis stacking—with other 1Gbps models in the Cisco SG500 line). Two variants existed, one with SFP+ ports, the other with 10Gbase-T. Alone, this switch wouldn't fit my requirement for dual host ports, but a pair of them—with one SFP+ port used to link the switches together—would fit the bill. Would it make budget? Holy. Smokes. For a ~25% increase, I could build a dual switch configuration; one that would afford me some additional redundancy that wouldn't exist in the single switch setup. I checked with my CTO, and have approval: as long as it stays under $2500, I had the green light. Go. Go! Go Baby Go!!! It turns out that those BCM57712A adapters I found were supplied with low-profile brackets and were originally designed to go inside the Cisco rackmount-series UCS servers. Not only were there no full-height brackets available—I checked with Broadcom (no answer), a local manufacturer rep listed on the Broadcom site ("check with the distributor"), a local distributor suggested by the manufacturer rep ("check with Broadcom") and the vendor from whom I purchased them ("check with Broadcom") and struck out—but the only way I was going to get the cards' firmware updated—not critical because ESXi 5.5 recognized the NIC and worked fine with the out-of-date firmware, but still very desirable, as research also suggested that there were good fixes in newer versions—was to put them into a compatible Cisco server and run the Host Update Utility (huu) on the system. It's my lab: if I'd been able to update the firmware or been able to source the full-height brackets, I'd have moved forward with them. Instead: Time for Plan B. The next-cheapest dual-SFP+ adapters I'd found when doing my original were Mellanox-based HP adapters for ~$130 apiece. This was at the edge of my budget, and if I couldn't recoup the $210+ I'd already spent on the Broadcom adapters, I'd be even deeper in the hole (not to mention barreling right through the $2500 budget), but I'm going forward with this little experiment. I'll try and unload the other adapters on eBay, although this could be "throwing good money after bad" as easily as "in for a penny, in for a pound." We'll see. 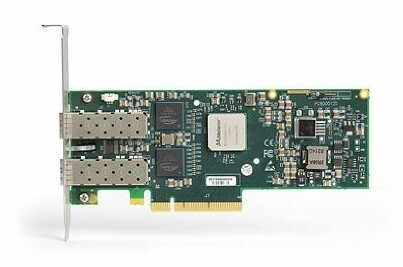 The Mellanox adapters (HP G2 [516937-B21]) arrived with full-height brackets. The firmware was out-of-date, but not to the point that the hardware and ESXi didn't recognize the card.Thanks to "Windows To Go" functionality in Windows 8.1, I was able to boot one of my hosts into Windows—with the help of a big USB drive—without screwing up my ESXi installation and update the card firmware of all 3 cards. ESXi had no problem recognizing the NIC (although this model was originally sold new in the vSphere 4.0 days) with both the as-received firmware as well as the latest-greatest. I'd also gone ahead and acquired the transceivers & cables after verifying that the Broadcom NICs were recognized by ESXi. With those in hand, I was able to do some basic point-to-point hardware checks for the adapters: the transceivers worked just as well in the HP cards as the Cisco cards (Enterprise guys: keep that in mind when you're looking at the transceiver prices from the OEM. There are enormous margins attached to these little gizmos, and purchasing from an original manufacturer could save your organization a ton of money). At this point, I'm in for less than $1000, but have a go/no-go on the switches. If I could get a single compatible switch for $1000, I'd be right where I was with the copper-based solution. Unfortunately, even eBay was a dry well: nothing for less than $1800. I am almost ready to pull the plug: I haven't ordered the switches yet (they're the single largest line-items on the BOM) because while they would be new and pretty sure to work as expected, the Frankenstein's monster of the adapters, SFP+ transceivers and fiber cables had no such guarantee. My project plan required me to start with the small and grow to the large as I proved each bit of infrastructure would work as envisioned. At this run rate, however, I'm going to exceed my budget; I should quit here and chalk it up to a learning experience. But I also wouldn't be able to do much with the existing infrastructure without a switch. Sure, I could try and create some weird full-mesh setup with multiple vMotion networks, but that would require a ton of manual overrides whenever I wanted to do anything. That, in turn, would make DRS essentially useless. So: do I take the loss (or sit on the hardware and watch for dropping prices or a surprise on eBay) or push through and go over budget? Screw it. I want this so bad I can taste it. All I need is the the switches and I can make this work. Time to get crackin'. Nuts. I can only get one of the two switches I need for $900 from the supplier I found back in my original research. The next-cheapest price is an additional $60. I am again faced with the dilemma: do I stop here (this will get me the sub-optimal but fully-functional single 10Gbps port on each host), wait until another becomes available at the same price, or pay the additional cost to get the second switch? The first switch arrived before expected (Friday instead of the following Monday), so I get to start putting things together this weekend. Okay, I'm disappointed. All the documentation seems to read like you can use one to four of the 10Gbps ports for stacking—and you can—but what they don't say is that you must configure two or four ports for stacking, My original plan to use 3 ports for the hosts and 1 port for the multi-chassis stack has been foiled. Fortunately, I was only about 50% certain that it would work, so I've set the switch in "standalone" mode and moved forward with getting things cabled & configured. This is purely temporary until I get the second switch in and do some more validation; at some point, there will be "the great migration" so that I can evacuate the 1Gbps switches I'm currently using. Once I finish, I'll be ejecting a 24-port dumb, unmanaged 10/100/1000 switch (in favor of my old SG300) and a pair of 28-port managed 10/100/1000 switches from the environment. This will have the effect of reducing the port count on each host from 9 (which includes the iDRAC) down to 7, but with two of those being the much-thinner 10Gbps ports. The cabling back to the switches will also be a bit more sveldt: two fiber cables take much less room in a wire loom than two (much less four) Cat6 cables take. The hosts, each, have four gigabit ports on the motherboard, so I'm going to keep them in service as management and guest data networks. The 10Gbps network will serve iSCSI (both host & guest use), NFS (I've hacked my Synology arrays to do trunked VLANs on bonded adapters) and vMotion. At the moment, I've reconfigured my in-host storage for use by HP StoreVirutal VSAs; this means I also can't have VSAN running anymore (not as robust as I'd like with my consumer-grade SSDs, and the Storage Profiles Service keeps 'going sideways' and making vCD unusable). I was able to source three of the H710 HBA adapters—along with SAS cables and backup battery for cache memory—intended for use in my hosts for a song. This should give me not only RAID5 for the spinning disks (something unavailable in the simple SAS HBA I'd been running before), but a more powerful HBA for managing both the SSD and the spinning disks. For the same reason, I don't have an FVP cluster using SSD; luckily, however, I'm running v2, so I'm playing with the RAM-based acceleration and looking forward to seeing improvements once I get its network running on the 10G. My long-term hope is that I can find a cost-effective PCIe-based flash board that can serve as FVP's acceleration media; that, along with the 10Gbps network, should make a big difference while simultaneously giving me back all the RAM that I'm currently utilizing for FVP. The second switch has been received & I'm getting it configured with the first switch; I'm also having to make some changes to the old switches to add connectivity to the new switches. It'll be a fun migration, but it should be physically possible to dismount the old switches and lay them down next to the rack; that will free the rack space for the new switches, and I can perform a rolling conversion of the cabling for my hosts, followed by moving the arrays one-by-one (they all have bonded uplinks, so disconnecting them, one link at a time, should be safe). AARRRGGGHHH! I'm re-using one of the old switches as an aggregation switch—any device that has only one connection/link will be plugged into that switch, while anything with multiple connections will be connected to the new switches. All three switches are cross-connected, and RSTP is used to keep broadcast loops from forming. Fine so far. 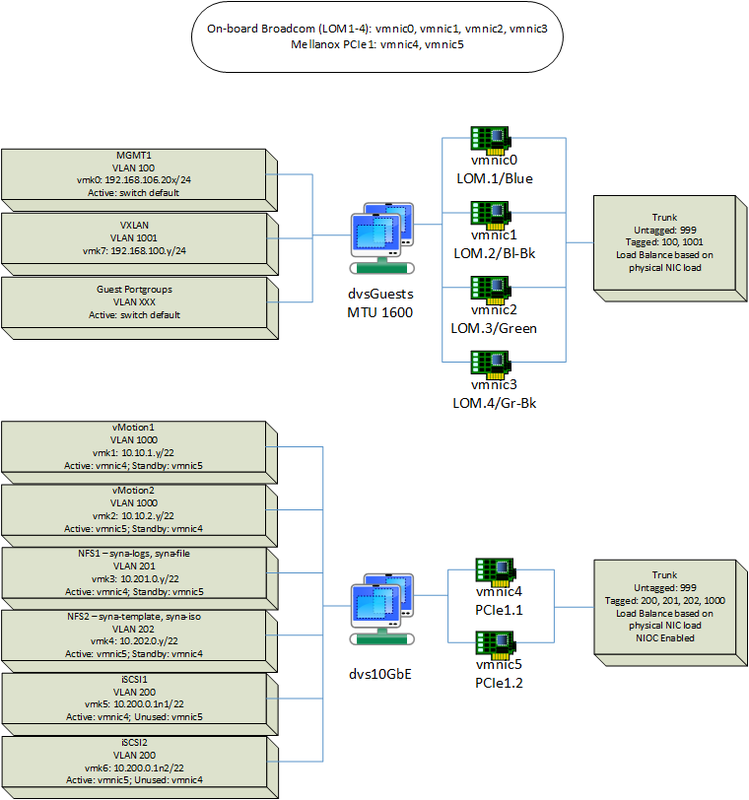 But I needed to update the STP priorities for my switches to make sure the new switches would prefer their 10Gbps link, and in the process I discovered that one of my cross-connect LAGs wasn't built properly. It wasn't until STP did a recalc and decided to use that LAG as the designated port—and traffic stopped flowing—that I discovered my error. And the symptoms were manifold & annoying...thank goodness the LeftHand VSA is so resilient. Yay! Everything is done, including the rebuild of the LeftHand nodes to accommodate some architectural changes needed as a result of the LAG/STP outage. Looking forward to getting this new setup documented & published...which makes this the last update, and a new post in the drafts folder!! !